My 10 month old loves to unpack stuff. I pick up toys only to find them back on the floor with her grinning widely at me. So we now have an activity based on this for our play time! 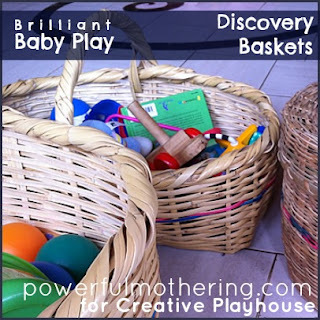 For this activity you can use a multitude of household items, toys, balls, even some of the older kids toys if you have any. My baskets contents usually consist of some of the older kids toys, such a wooden train set tracks, or some plastic animals, balls also go down well. 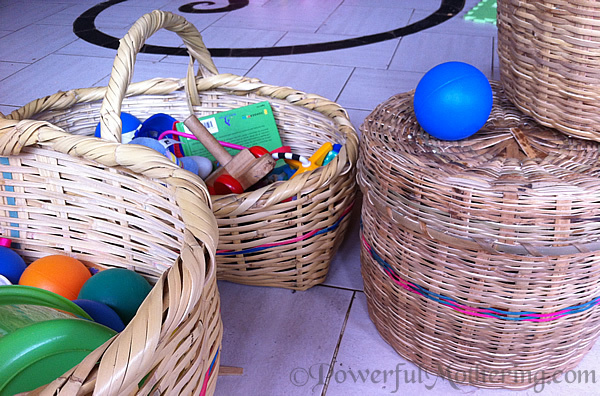 We have also put together a very sensory basket that had ribbon and material scraps in it. I am always on the lookout for various containers while out and about and saw this collection of baskets. They are the perfect height for my 10 month old to sit in front of and the ones with the handles are not to heavy to double as a carry basket for my 4 year old when we go outside to pick flowers or something. A basket or a large bowl. Anything your little one can dig in. 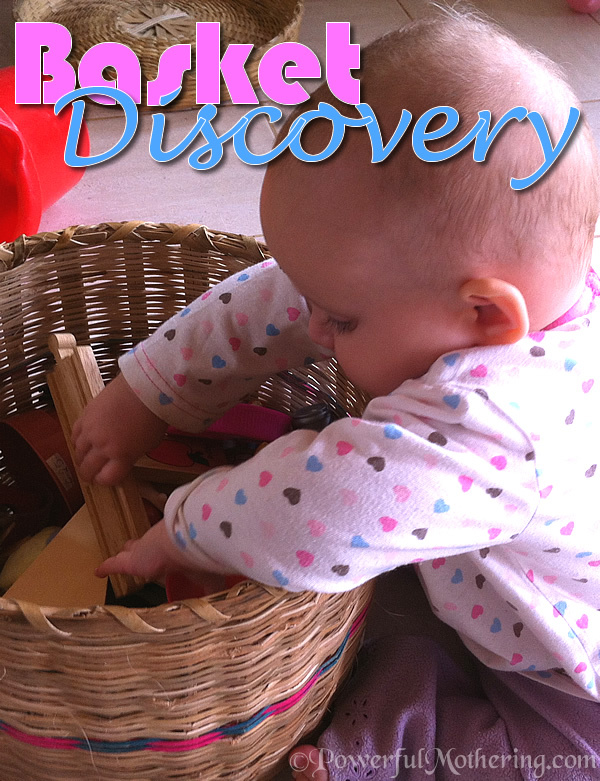 Some toys or household items that your little one can explore. 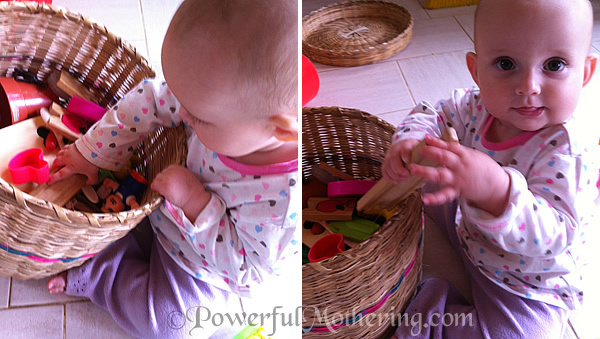 Think wooden spoons, plastic cups, balls, ribbons, cookie cutters, lids of bowls, pegs, so many things! To keep this gaming going I have 2 baskets! As soon as she has unpacked the first I give her the next. This post was contributed by Nicolette Roux of Powerful Mothering. 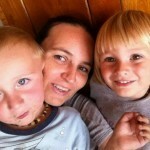 Nicolette can usually be found on the floor with one or all of her 3 kids, 4 years old and under. She enjoys crafting, sewing and baking on occasion. 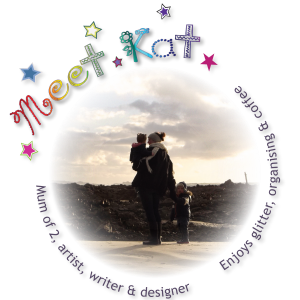 Visit her on her blog at Powerful Mothering or on twitter, facebook and pinterest! I love this! My baby girl also loves to unpack anything she can unpack! Her most recent favorite activity is unpacking the bottom drawer in my bathroom vanity! It keeps her occupied and entertained. She also loves her basket of toys! 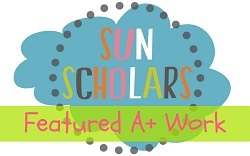 Great guest post Nicolette! Love basket play. My little guy loves taking things out and putting them back in. 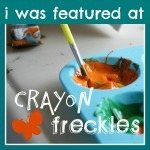 I would love it if you would come link up on our Artsy Play Wednesday linky. Thanks for linking up. Your post has been pinned to our Artsy Play Wednesday group board.